I am a vegan home cook. I’m a foodie. I live in an RV. Consider this delicious dip for your next party or Labor Day festivities. Savory rosemary and thyme combined with the sweetness of balsamic vinegar and the smooth richness of the tahini makes for a perfect hummus flavor combination. Goes great with a tray of veggies for dipping, crostini, pita, or crackers for spreading. It's so simple, and everyone will want the recipe. Hummus is a food group! Process all ingredients until smooth. Oh sweet sweet comfort food. Personally, I'm not a huge advocate for store bought vegan cheese. It is highly processed and most don't pass my strict, label reading scrutiny. I do, however, make my own cheese from scratch and love it! The ricotta is rich and creamy. The cashew parmesan topping is perfect for salads, vegetables dishes, pastas, and pizza. If nothing else, you must try this! In a processor, process the cashews into a crumble. Scoop out 2 Tbsp and set aside. Process remaining cashews into a fine powder. Add tofu, sea salt, olive oil, & lemon juice to the processor with the remaining cashew powder. Pulse to combine. In a med-high heated pan, add the 2 Tbsp cashew crumble with a dash of sea salt and a dash of garlic powder. Heat only until fragrant. Let cool. Set aside to sprinkle on top of your risotto. So some of you know, my husband and I are avid rock climbers which is part of the reason we chose to park it in Sedona for awhile. Home is where you park it! 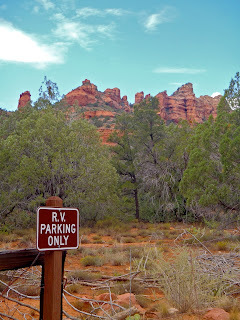 We are full-time RVers and travel enthusiasts, but often have to stay in one place for a reasonable amount of time for that silly little distraction we call working. 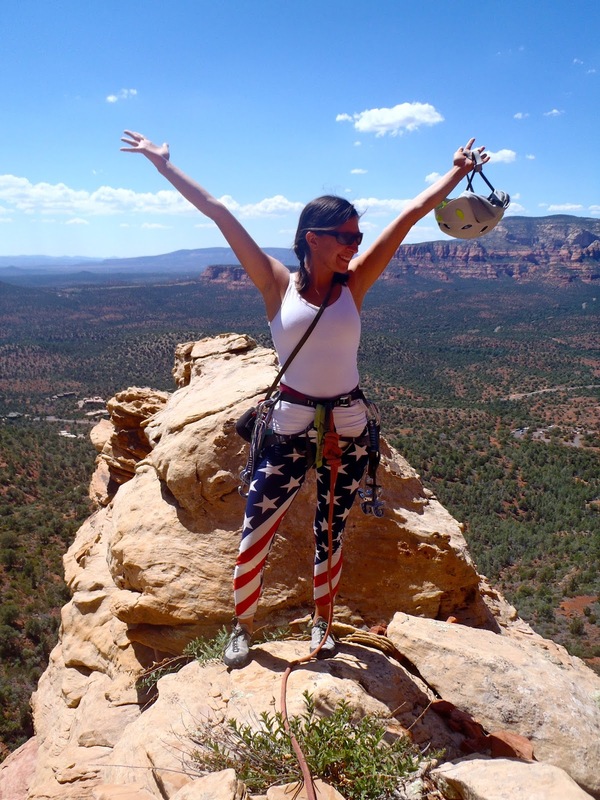 Sedona is almost a perfect choice because of it's scenic beauty for hikes and rock climbing. It's a very small city, but it draws in a huge amount of tourism, which is generally how we make a living. In a bowl, mix together all dry ingredients. Stir in wet ingredients, until well blended batter. Pour into muffin cups (or an 8x8" baking dish*). For muffins, bake 20-25 minutes. *If using the baking dish, bake 25-30 minutes. Test by poking them with a toothpick. They're done when the toothpick comes out clean. Let cool for 15 minutes before serving. I want this so bad! 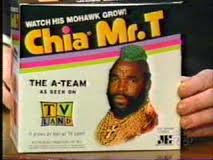 The coolest thing about them is, clearly, a Mr. T Chia Pet chia mohawk. But the SECOND coolest thing about them is that they have the awesome ability to transform any liquid into a pudding! In a bowl, stir to combine. Let sit 1 minute. Stir again. Let sit 5 minutes. Stir. Let sit 5 more minutes. Transfer into dessert cups. Refrigerate for at least an hour. Serve chilled. Following a mostly organic, macrobiotic, vegan diet. I am very interested in plant-based nutrition, combined with delicious food. All recipes can be and are made in an RV kitchen.